The Martian starring Matt Damon dominated the box office in its second straight weekend of release, hauling in $37 million to bring its total to more than $108 million. That was pretty much the only good news at the box office of the weekend. Now for the bad: Pan, a new Peter Pan origin story is one of the biggest flops of the year, according to The Associated Press. The epic fantasy cost $150 million to make and only made $15.5 million in its debut, which is even less than the studio had predicted, and basically a death sentence for this thing making a profit. It landed in third place behind Hotel Transylvania 2. Maybe they forgot that the only, great, live-action Peter Pan movie the world ever needed was called Hook, starred Robin Williams and came out in 1991, but anyway, Pan is a huge bomb. The Walk, starring Joseph Gordon Levitt as Phillipe Petit, the guy who tight-rope walked between the twin towers back in the &apos;70s, also had a weak opening, making only $3.7 million after bringing in about that much last week in IMAX only. It&apos;s budget was a much more manageable $35 million though, so it still has a chance. Maybe they forgot the only movie we needed about Petit was called Man on Wire and is probably the best documentary on Netflix, but anyway, The Walk ain&apos;t doing so great. 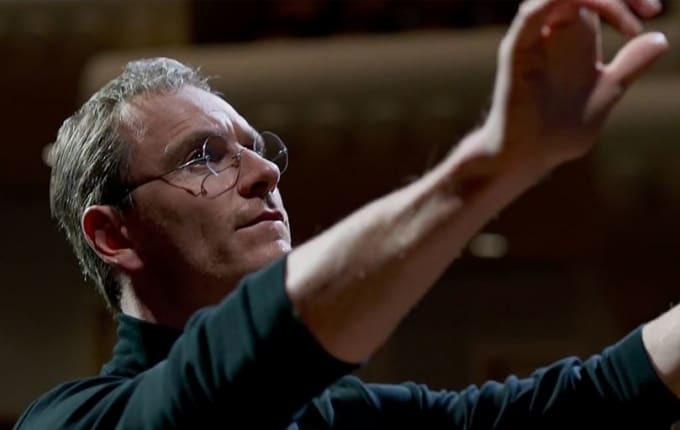 Steve Jobs, which only released in a few theaters in New York and Los Angeles, had one of the highest per-theater averages of the year ($130,000 per screen!). It would be pretty surprising if it wasn&apos;t No. 1 when opens in wide release next week.